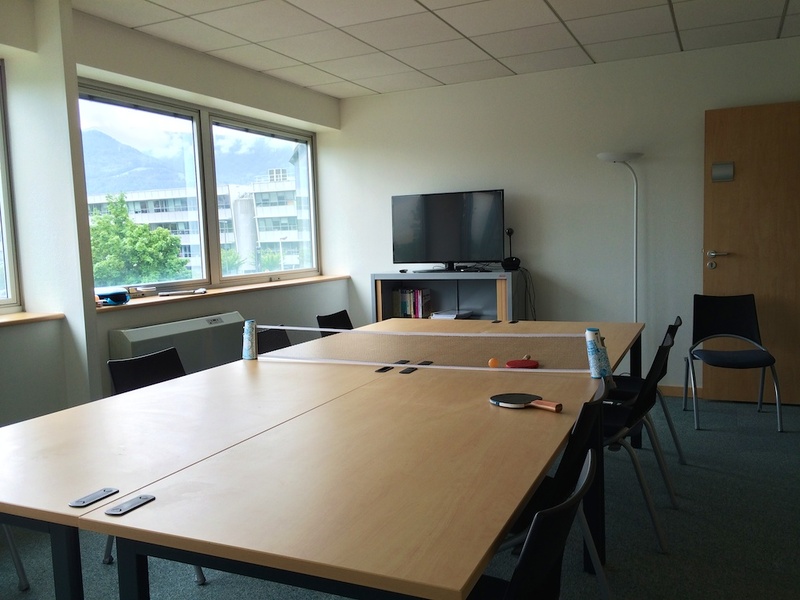 As ForgeRock is growing fast and we have a number of new hires joining us in the Grenoble Engineering Center, we’ve moved office for a larger space, still in the same building. 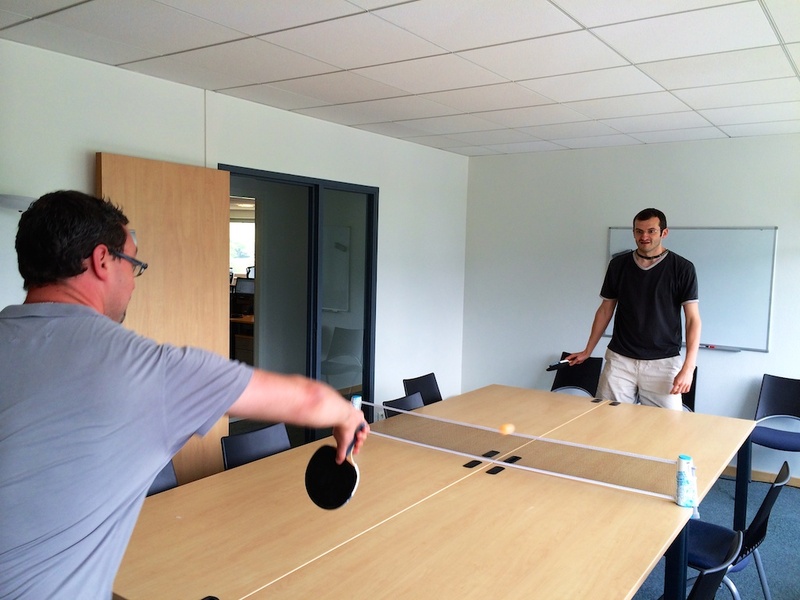 The new office has a large open space area where all engineers (dev, QA and doc) can work and exchange. 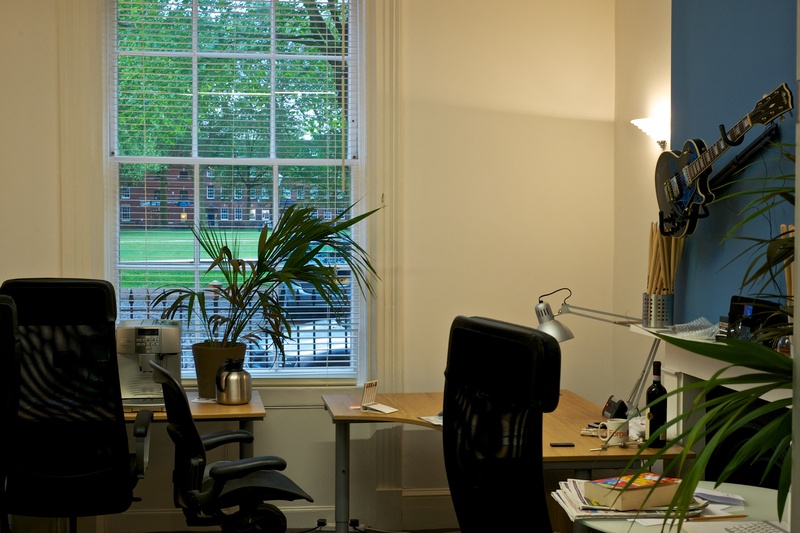 And the good news is that the new office will allow us to hire even more, in the next months and years. Each company has its own culture, influenced by leadership, the founders and the employees. 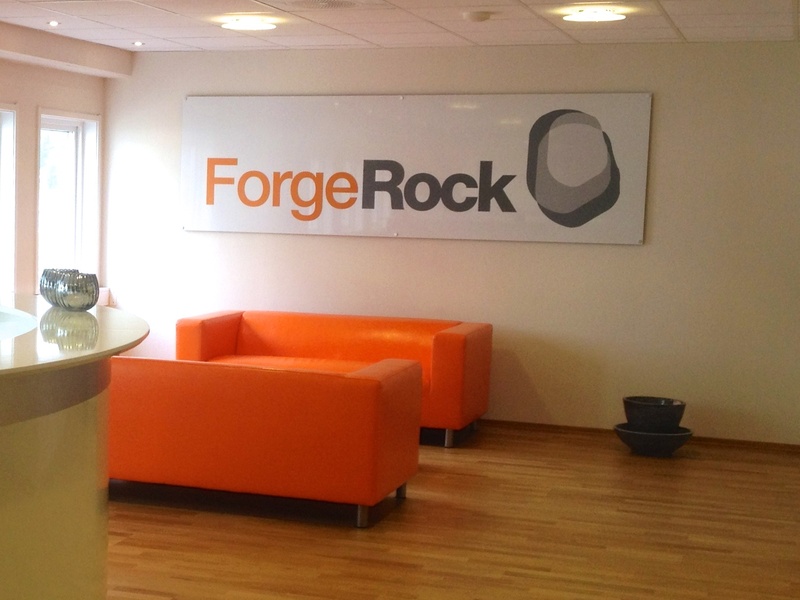 I ‘m not trying to describe ForgeRock company’s culture, one has to live it to understand, but being a global company with offices in Oslo (Norway), Bristol (UK), Grenoble (France), San Francisco and Portland (USA), and employees in many other countries such as New Zealand, South Africa, Spain, Belgique, Hungary, etc, is a big part of our identity. 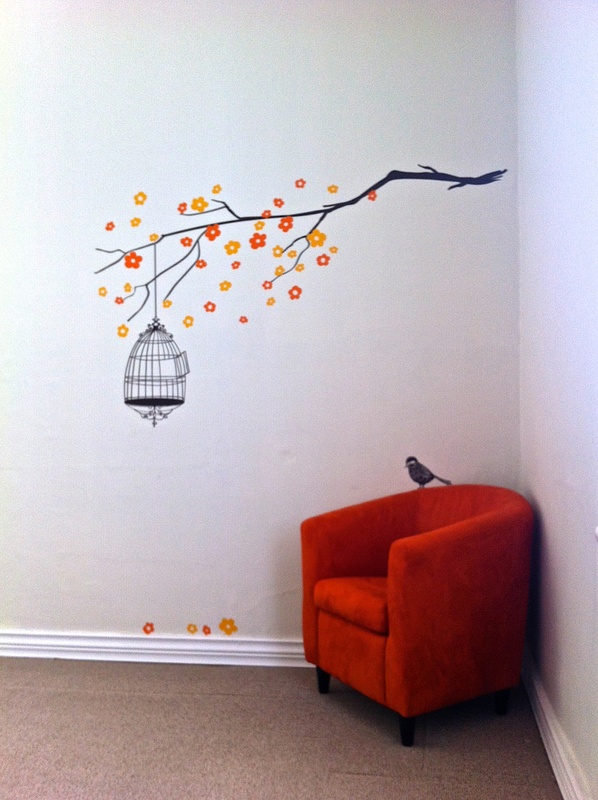 Then, there are objects that are building the company’s identity, and you will find them everywhere. 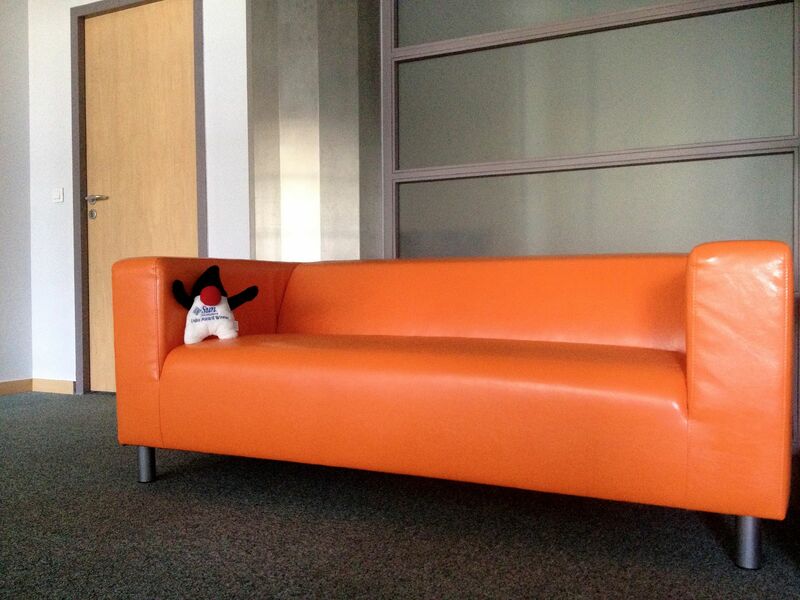 At ForgeRock, among other things, we have the “Orange Couch”. It’s been one of these weeks, where you’re so busy that you hardly have the time to tweet, let even blog. The week started on Sunday morning with an early flight to London (after a very short night thanks to my daughter end of the year party). 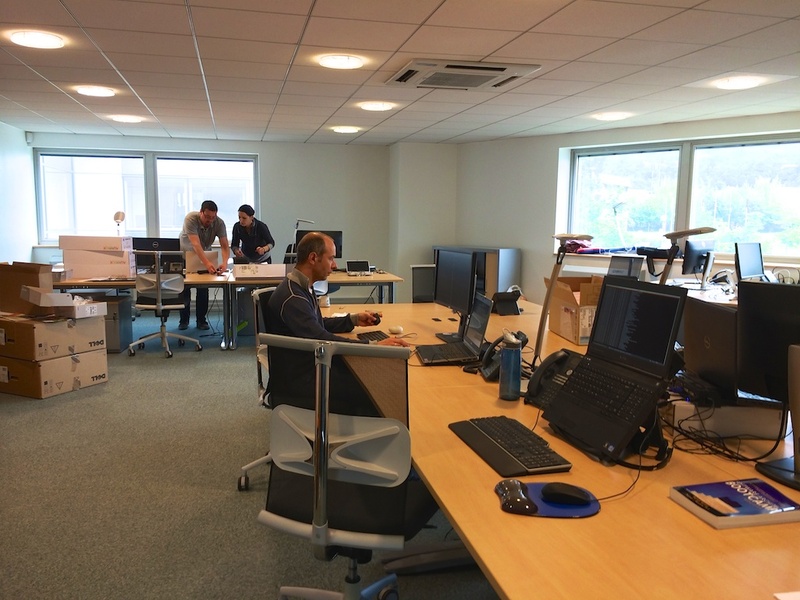 On Monday, I’ve been driven to Bristol, to see our new office, meet with Steve Ferris, head of ForgeRock UK, and meet with Chris Ridd who has just joined our company as a Support engineer, focusing mostly on OpenDJ, our open source LDAP directory services in Java. 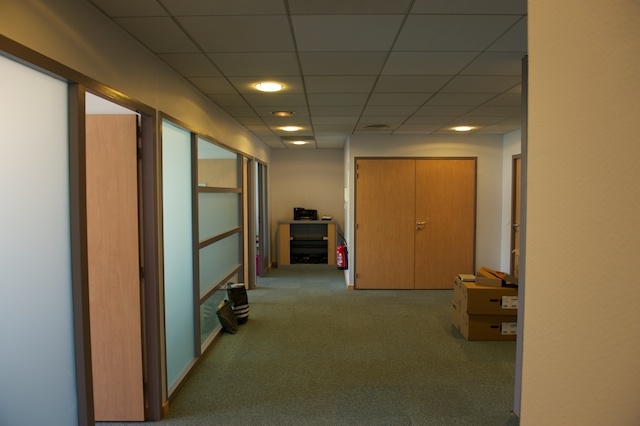 After Oslo, this was my second stage of the tour of world-wide offices (*). 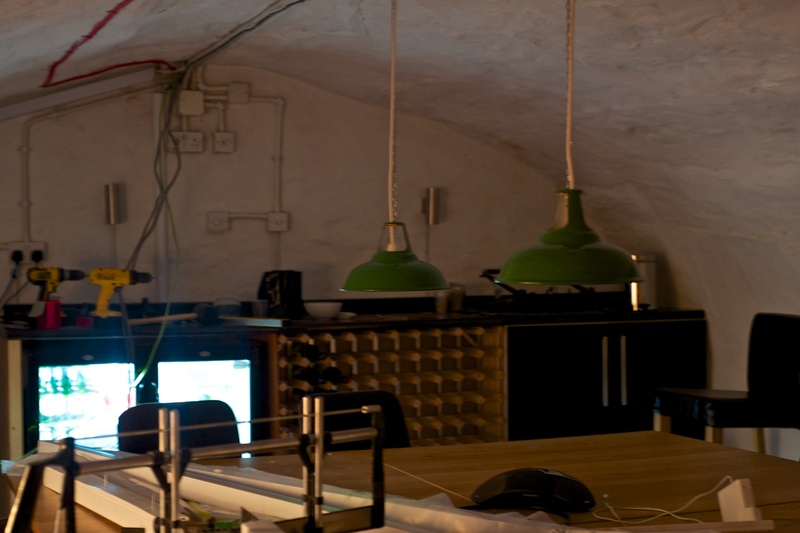 Bristol office has opened a couple of weeks ago, and it’s really nice, located on Queen’s Square, in an old house and spread through 3 stores and a cellar. 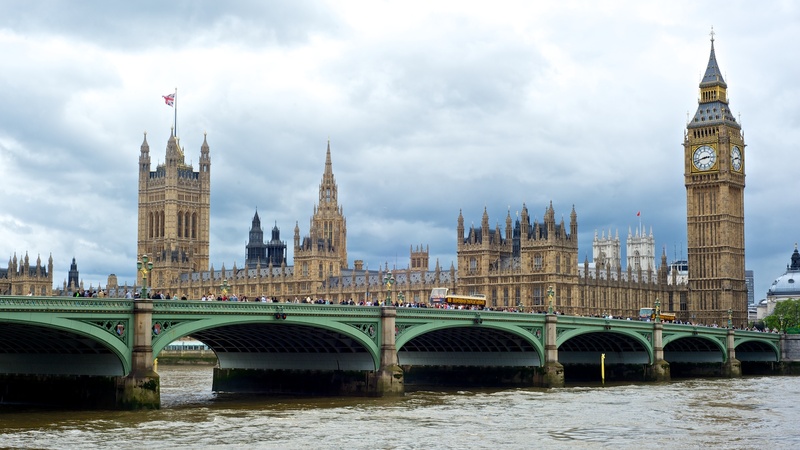 On Tuesday, we left the Bristol office around noon to come back to London for 2 meetings with customers, both using OpenDJ.On Wednesday morning I flew back to France, to prepare our Grenoble office warming party, planed for the Thursday at 5:30pm. On Thursday I went and picked up Lasse Andresen our CEO, at the airport. He was just back from San Francisco and making a detour on his way home for the party. 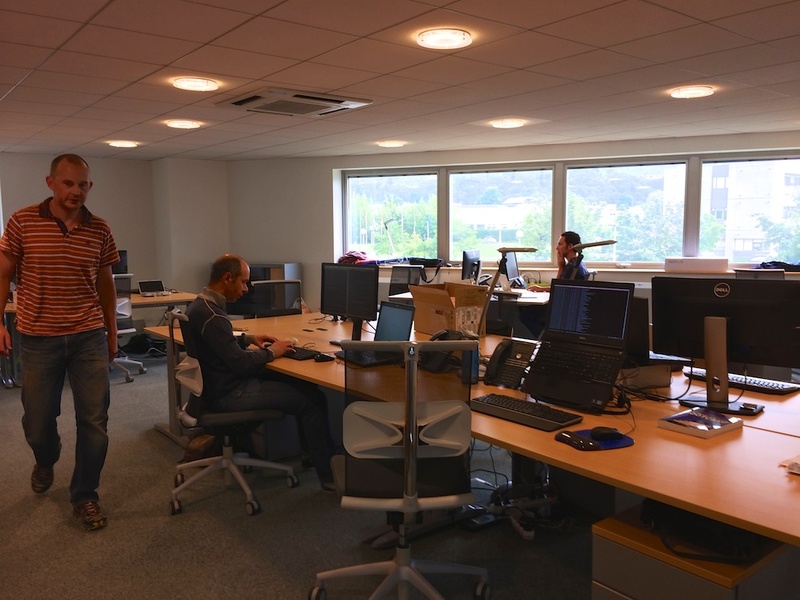 We had a little time for talking about the business, hiring, and a few other things, and already our first guests started to show up for the official opening of the new office for the ForgeRock Grenoble Engineering Center. Over an hour and half, we had the visit from some of our office neighbors, some ex-colleagues from Sun, the Chief Service Officer from BonitaSoft (another great startup from Grenoble, build on open source software), our external accountants, a few leaders from the AlpesJUG (the local Java User Group), guests from other software or services companies around, and even the future new hire who signed his contract yesterday. I was so busy with welcoming everyone, making sure glasses were not empty, that I realized afterwards I had not taken a single photo of the event, despite having my camera ready on my desk. This morning, Lasse and I had another session of work before he started to head towards the airport to fly back home, and since then, I’ve been trying to catch up on emails, documents and all… This is my last action before I call it a week and go in the living room to sip a very fresh beer and relax ! The coming weeks should allow me more time for blogging and tweeting. Until then, enjoy the week-end ! (*) I don’t plan to continue my tour until September, and should see the San Francisco office when I’m coming to speak at JavaOne. I’m just leaving Oslo after a short visit to our new Oslo offices and meetings with my colleagues from Sales and Business Development. 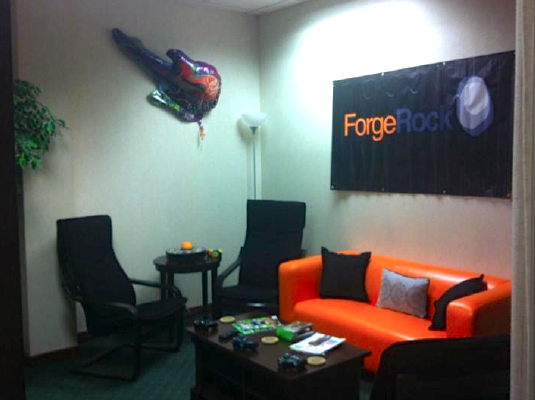 It was nice finally meeting with many of the ForgeRock employees I’ve been working with through Skype, phone and email. 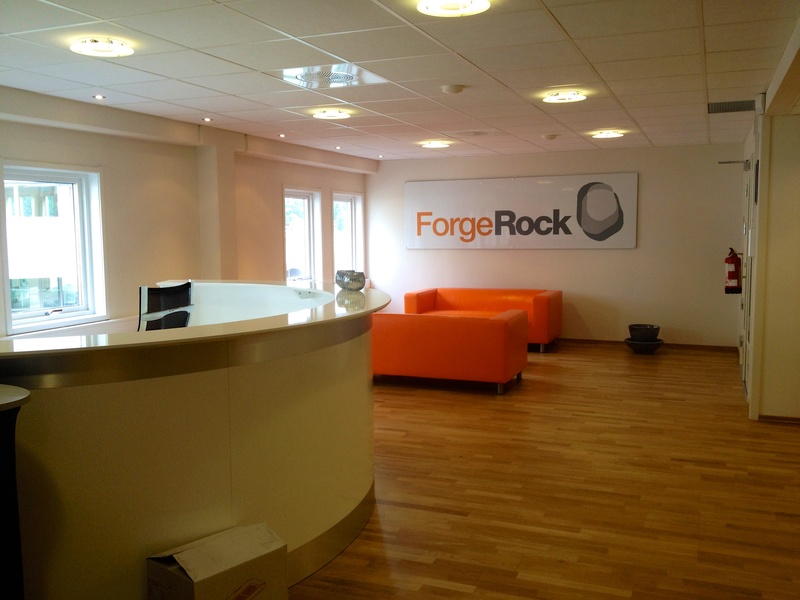 And also meeting with some visitors from other ForgeRock locations. 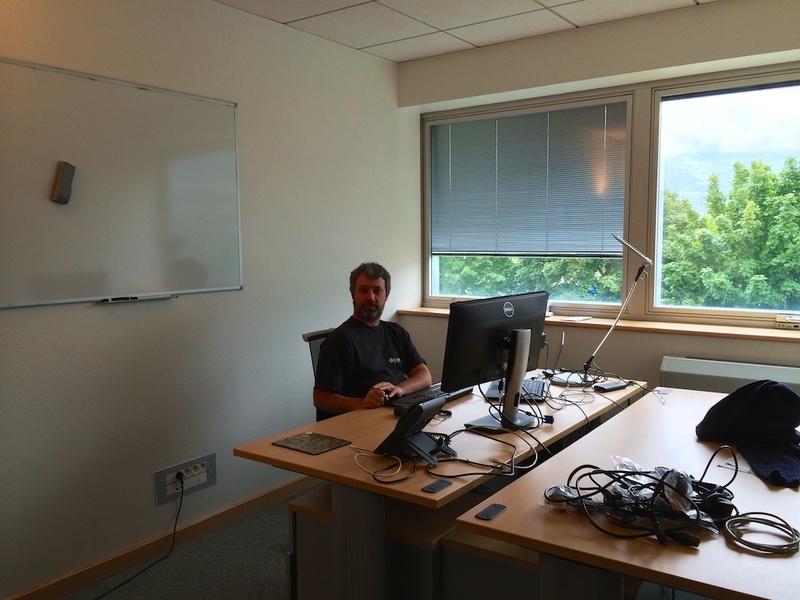 Working in Oslo office feels very similar than working in the Grenoble ones : there is a friendly and relaxed atmosphere, although with a deep concentration and intense work going on. I’ll be coming back to Oslo on a more regular pace starting from September, but as I’m leaving, I wish I could come back with my whole family during the summer time, as it’s probably the best season to come to Norway : the light is incredible, the weather great and it feels so relaxing. Hmmm, this sounds like a plan for family vacation for next year !? 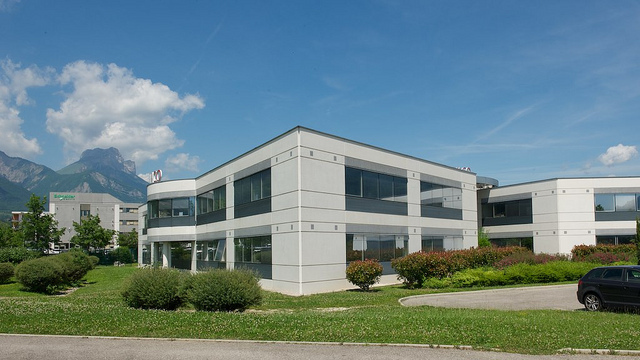 As we’re growing the team in the Grenoble area, we’ve finally moved office to the “Silvaco” building in the Montbonnot tech area. 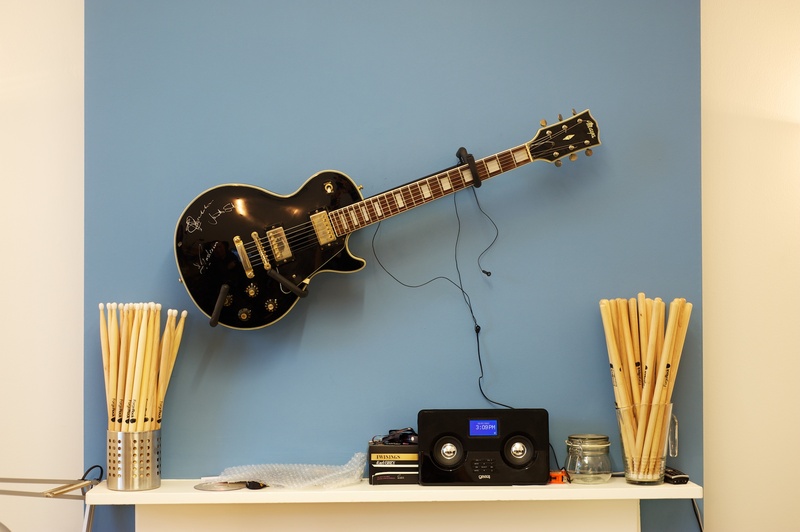 We’re still in the progress of decorating the office, adding a more relaxed and friendly atmosphere, with certainly some “Rock attitude”. Don’t hesitate to drop by, we have coffee and may be more, especially if you are a developer with a passion for code and Java. Finally, I’d like to have a special thank Mancala Networks and its CEO Marc Rozier for having hosting us for the last year, as we were building the team.